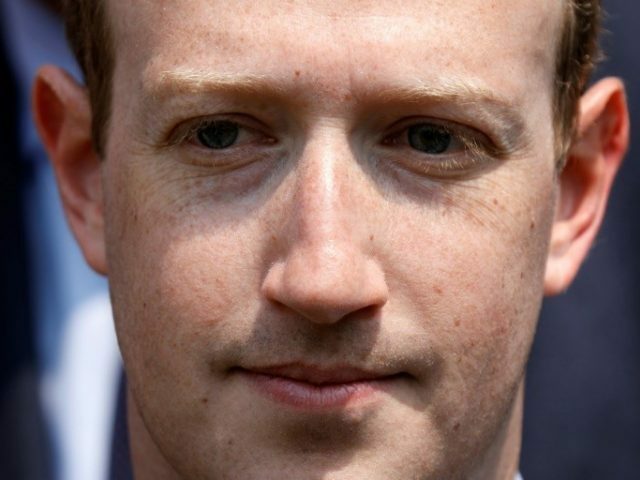 A group of British MP’s, seemingly upset at Facebook CEO Mark Zuckerberg’s refusal to appear before the U.K. Parliament, have released a cache of seized Facebook documents. Here are five key facts from the documents. As Breitbart News reported earlier today, the U.K. Parliament’s fake news inquiry has published a number of seized Facebook documents, which include emails between senior members of Facebook staff and other employees. The cache — which is approximately 250 pages long and was marked as “highly confidential” — was obtained from Six4Three, a startup app company that is suing Facebook. Here are five key facts from the cache of internal Facebook documents. These documents have provided a deep insight into the inner workings of Facebook and how the company deals with competitors. It has also shown that the company is often acutely aware of the consequences of their actions but chooses to go ahead with them anyway in order to turn a profit or gain market dominance. Zuckerberg’s nonchalant answer gives a unique insight into how the Facebook CEO deals with competition. Hey guys, as you all know the growth team is planning on shipping a permissions update on Android at the end of this month. They are going to include the “read call log” permission, which will trigger the Android permissions dialog on update, requiring users to accept the update. They will then provide an in-app opt-in NUX for a feature that lets you continuously upload your SMS and call log history to Facebook to be used for improving things like PYMK, coefficient calculation, feed ranking, etc. This is a pretty high-risk thing to do from a PR perspective but it appears that the growth team will charge ahead and do it. Separately, Gravity team had been intending to ship the Bluetooth permission on Android at the same time – in fact we’d already delayed to accommodate more permissions from the growth team, but we didn’t realize it was going to be something this risky. We think the risk of PR fallout here is high, and there’s some chance that Bluetooth will get pulled into the PR fallout. Screenshot of the scary Android permissions screen becomes a meme (as it has in the past), propagates around the web, it gets press attention, and enterprising journalists dig into what exactly the new update is requesting, then write stories about “Facebook uses new Android update to pry into your private life in ever more terrifying ways – reading your call logs, tracking you in businesses with beacons, etc”. Gravity had a great initial reception. This is because we took painstaking steps to ensure that we had a clear story of user value for the hardware and spoke from a position of transparency but not over-emphasis about the potentially scary bits. But we’re still in a precarious position of scaling without freaking people out. If a negative meme were to develop around Facebook Bluetooth beacons, businesses could become reticent to accept them from us, and it could stall the project and its strategy entirely. Normally we’d have to wait until July for the chance to ship again, since we only ship Android permissions updates a couple times a year as they tank upgrade rates. So our options, aside from the “ship together and pray” option which feels too risky to me, are to wait until July to ship the Bluetooth permission on Android or ask for a special exception to ship our permissions update sooner. Sipping permissions updates on Android has the downside of tanking upgrade rates, so we try to do it infrequently. But there could be an argument to doing it sooner in this case, as a compromise to allow both teams to continue moving fast, without unnecessarily conflating two PR risks into one. According to the documents, Facebook CEO Mark Zuckerberg discussed selling access to user data, including information of users, to developers and advertisers on Facebook’s platform. Emails dating back to October 2012, shortly after Facebook’s IPO, show Zuckerberg brainstorming ways to generate revenue, including selling user data access directly to developers. I’ve been thinking about platform business model a lot this weekend…if we make it so devs can generate revenue for us in different ways, then it makes it more acceptable for us to charge them quite a bit more for using platform. The basic idea is that any other revenue you generate for us earns you a credit towards whatever fees you own us for using platform. There’s a big question on where we get the revenue from. Do we make it easy for devs to use our payments/ad network but not require them? Do we require them? Do we just charge a rev share directly and let devs who use them get a credit against what they owe us? It’s not at all clear to me here that we have a model that will actually make us the revenue we want at scale. I’m getting more on board with locking down some parts of platform, including friends data and potentially email addresses for mobile apps. This is another example of how Facebook views its users as its product. I was not sure there was not a question about compensation, apologies; in my mind we have been working collaboratively with [name redacted] and the team in good faith for the past 16 or so months. It appears that while Facebook publicly claims to be doing everything they can to protect user data, if it makes business sense for the company to provide access to user and friends data, they’re more than willing to do so. Combined with the news that Facebook considered charging developers for access to user data, it seems that Facebook keeps a tighter hold over its platform than was previously believed.